In his day Gokhale was the cool wind of moderation while he supplied the thunder. ‘Swaraj is my birthright etc.,’ has become quotable quote as his philippics caused the youth to take him at his word. Considered as Father of Indian National Movement; Founded “Deccan Education Society” to impart quality education to India’s youth; was a member of the Municipal Council of Pune, Bombay Legislature, and an elected ‘Fellow’ of the Bombay University; formed Home Rule League in 1916 to attain the goal of Swaraj. He was a strong critic of the Western education system, feeling it demeaned the Indian students and disrespected India’s heritage. Despite being personally opposed to early marriage, Tilak opposed the 1891Age of Consent bill, seeing it as interference with Hinduism and a dangerous precedent. The act raised the age at which a girl could get married from 10 to 12. He believed the precepts from Bhagavad Gita that no blame could be attached to anyone who killed an oppressor without any thought of reward. The manner he set about upholding his religious beliefs still resonate in the manner the way politics is played in Maharashtra. Parochialism has taken over there what with Shiva Sena banning Bihari migrant workers and communal politics that is clear violation of the the spirit of the Union of India still goes on with impunity. His father Gangadhar Ramachandra Tilak was a Sanskrit scholar and a famous teacher. Tilak was a brilliant student and he was very good in mathematics. In 1877, Bal Gangadhar Tilak got his B.A. degree with a first class in mathematics. The very next year after the Deccan Education Society was founded, Tilak started two weeklies, ‘Kesari’ and ‘Mahratta’. ‘Kesari’ was Marathi weekly while ‘Mahratta’ was English weekly. These were platforms for voicing his concerns, ideals and plan of action for the day. Bal Gangadhar Tilak joined the Indian National Congress in 1890. Tilak was arrested and sent to prison for his views. He was released in 1898. After his release, he launched Swadeshi Movement. Through newspapers and lectures, Tilak spread the message to each and every village in Maharashtra. A big ‘Swadeshi Market’ was opened in front of Tilak’s house. Meanwhile, Congress was split into two camps-Moderates and Extremists. Extremists led by Bal Gangadhar Tilak opposed the moderate faction led by Gopal Krishna Gokhale who thought that time was not yet ripe but Tilak was for immediate self-rule. This rift finally led to a split in the Congress. Tilak was once again arrested on the charges of sedition in 1906. After the trial, Tilak was sentenced to six years of imprisonment in Mandalay (Burma). After his release in 1914, Bal Gangadhar Tilak tried to bring the two factions of Congress together. But his efforts did not bear much fruit. 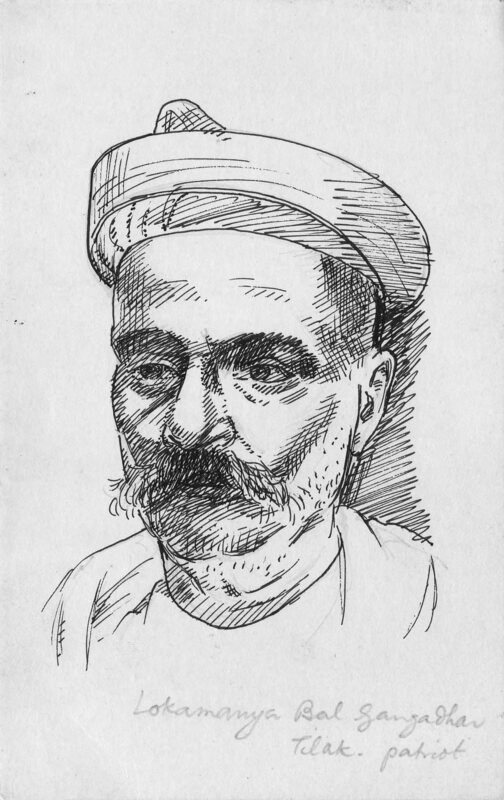 In 1916, Tilak founded the ‘Home Rule League’. Bal Gangadhar Tilak died on August 1, 1920. His life was selflessly dedicated to create a nation as of old which was an impossible dream. In a modern India old values of caste in whichever form would not have sat still isolated from rest of the world. In retro: If intentions were considered as touchstone of a patriot Tilak shall be considered a patriot of purest ray serene. His political life was rooted on the precepts of Hindu epics and his actions however caused many examples which we see these days too often. He advocated killing evil as justified and litlle did he know what it let loose if followed through. Jihadists of the present times would base their heinous crimes on the same principle. On 30 April 1908 two Bengali youths, Prafulla Chaki and Khudiram Bose, threw a bomb on a carriage at Muzzafarpur in order to kill the Chief Presidency Magistrate Douglas Kingsford, but erroneously killed some women travelling in it. Tilak in his paper Kesari defended the revolutionaries. Blame for the saffron terror that target the mosques(Malegaon) today partly owes to Tilak’s extreme views. Tragedy is that Tilak’s patriotic highmindedness in translation speaks jibberish; and this is what resonates among the Indian youth. These saffron clad sangh parivars do not even represent the modern secular India. The euro zone has been looking to China play a role in supporting its rescue fund by investing some of its $3.2 trillion in foreign exchange reserves — the world’s largest. China cannot barge in and flash wads of money and say, ‘help yourself, folks’ So Hu Jintao has to play a subtle game. In politics a Good Samaritan has one hand extended to pick you from gutter and with the other to chain you forever play second fiddle to his whims. Morality of the parable and hard reality of politics are altogether different. When the Chines finance minister announces ‘China has always supported Europe’s response to the international financial crisis and its economic recovery efforts,” already there are fellows back in Beijing toting up for how much Europe has to pay for China’s help. Europe can sit back and think of the adage.’Beware of the Geeks bearing gifts.’ EU member Greece has tossed its problem into the lap of Euro block and is now the crisis of eurozone. China has to make moves carefully. If Europe is bruised and cannot afford its melamine laced milk, cough syrup cereals, meat products and toys with deadly paints where would it dump all the shoddy goods? Africa is one place where it can but there is still surplus that must be got rid of. Perhaps Europe? Sure China has now made some sounds tuttutting its sympathy at Europe’s crisis. Let us watch how a nation with poor record of human rights will crack its bullwhip. It is worthwhile to study how superpowers go out in ignominy or watch the pretensions of a nation in a hurry. China has the USA for a debtor. Now Europe. Here is a chance to score a point where Europe is bending backwards to come up with some solution. PS. Italy Portugal,and Spain are now watching how they shall make their crisis the crisis of Eurozone.These also shall come. A global economic meltdown seems to be in the cards. Am I being pessimistic? Only time will tell.